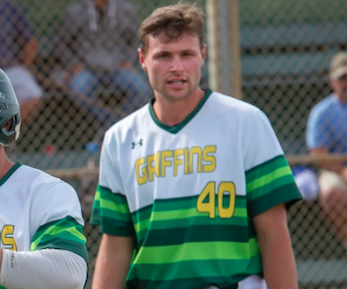 EL CAJON – Just one day after announcing he would attend San Diego State next season, Grossmont College first baseman NOAH STROHL celebrated with a pair of home runs and five RBI on Thursday, as the Pacific Coast Athletic Conference-leading Griffins pummeled San Diego Mesa, 17-5. 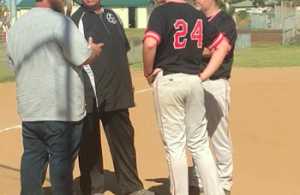 Strohl, a 6-foot-6, 235-pound slugger out of La Jolla High, hit a three-run homer in the second and a two-run shot in an eight-run eighth, as Grossmont kept its offensive juggernaut rolling against the helpless Olympians’ pitching staff. Grossmont has scored 32 runs over the first two games of the three-game set this week against Mesa. The Griffins have scored 196 runs over their last 17 games, winning 15 of those contests with one tie. Strohl leads the Griffins with seven home runs and 35 RBI this season. 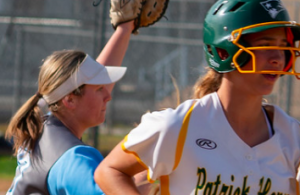 SoCal seventh-ranked Grossmont (13-1, 18-6-1) leads second-place Palomar (11-1) by one game officially in the PCAC standings, although the teams are tied in the loss column. Mesa (7-4, 12-13) has now slipped to 4 1/2 games back. The Olympians led 2-0 after a half inning in Thursday’s contest, but JALE SIM gave Grossmont the lead in the bottom of the inning on a single that scored Strohl (walk). After Mesa tied the game in the top of the second, the Griffs’ REECE HERNANDEZ (Santana) drove in a pair with a single to right, setting up Strohl for the first of his two long balls. JUSTIN BURKEY hit a solo homer in the fifth inning and scored three runs for Grossmont and upped his batting average to .388, while leadoff man DAVID MALDONADO also tallied three runs as part of a three-hit day which saw his average improve to .377. Patrick Henry product CABOT VAN TIL, Grossmont’s leading hitter at .442, had two hits, two runs and two RBI. 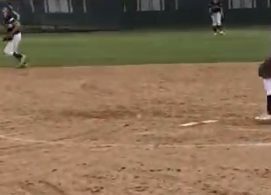 Freshman HAYDEN SHENEFIELD, out of El Camino Real, turned in the longest outing of his college career for Grossmont, going the final five innings, striking out eight. He allowed a pair of runs, walking two, but gave up just one hit. COREY JOHNSON entered the game with one out in the top of the third and spun 1 2/3 innings of shutout ball in relief of starter ANDREW MITCHEL. The Griffins and Olympians conclude the series today at noon at Mesa. Grossmont faces San Diego City College (6-5, 11-11) next week in a three-game set, with home games on Tuesday and Friday. G. Ruthenber reached first on an error by p; Z. Mann advanced to second; A. Velasco scored, unearned. W. Law grounded out to p, SAC, RBI; G. Ruthenber advanced to third; Z. Mann scored. N. Strohl scored on a wild pitch, unearned. J. Burkey reached first on an error by cf, advanced to third; R. Bostedt scored, unearned. J. Sim singled to center field, RBI; J. Burkey scored. Z. Mann flied out to rf, RBI; L. Butler scored. R. Hernandez singled to right field, 2 RBI; D. Maldonado advanced to third; C. Til scored; T. Beard scored. N. Strohl homered, 3 RBI; R. Hernandez scored; D. Maldonado scored. L. Butler homered, 2 RBI; W. Law scored. N. Strohl homered, 2 RBI; D. Maldonado scored. J. Burkey singled to left field; R. Bostedt advanced to third on an error by lf, scored, unearned. C. Til singled to right field, 2 RBI; M. Diffley advanced to second; E. la scored; J. Burkey scored. D. Maldonado singled to right field, RBI; C. Til advanced to third; M. Diffley scored. S. Crosby doubled to right field, 2 RBI; D. Maldonado scored; C. Til scored.